The Toronto Maple Leafs were forced to put newly acquired goaltender Michael Hutchinson right into the spotlight today after Garret Sparks suffered an injury in practice. Frederik Andersen, the regular starter is on the shelf with a groin injury, meaning Kasimir Kaskisuo was on the bench today as the backup. Hutchinson allowed four goals in a loss to the Minnesota Wild, and though he couldn’t be blamed entirely for the loss it is obviously a concern of the team. Head coach Mike Babcock said after the game to reporters including Jonas Siegel of The Athletic that the team is discussing whether or not they’ll go after another goaltender in order to let Kaskisuo return to the minor leagues. There is an experienced goaltender on waivers today in Mike McKenna, but that doesn’t necessarily give the Maple Leafs a better option than Hutchinson moving forward. If the team isn’t comfortable with him as the starter perhaps they will go after another netminder with more upside. Regardless, it’s an interesting comment given how close Andersen appears after hitting the ice the last few days. Sparks was put into the concussion protocol after taking a puck to the head and it’s not clear how long he’ll be out. Goaltending depth is a familiar issue for the Maple Leafs, who over the last few years have struggled to find a reliable backup. Curtis McElhinney eventually took on that role after being claimed off waivers from the Columbus Blue Jackets, but was subsequently lost at the start of this season when the Maple Leafs decided to keep Sparks in the NHL. Calvin Pickard, similarly acquired to help add some organizational depth last season, was also lost on waivers and has bounced around the league since. With Andersen facing so much work since joining the Maple Leafs, the team must surround him with some depth as they prepare for a long playoff run. Lower-body injuries can linger for goaltenders even well after they are ready to get back into game action, and can pop up at the most inopportune times down the line. While Sparks has done enough to keep the backup role for now, two consecutive injuries are showing just how thin the position is in Toronto. The decision has been made, and the Toronto Maple Leafs will get one of their superstars back tonight. Head coach Mike Babcock confirmed this morning that Auston Matthews will return to the lineup against the San Jose Sharks after a four-week absence. 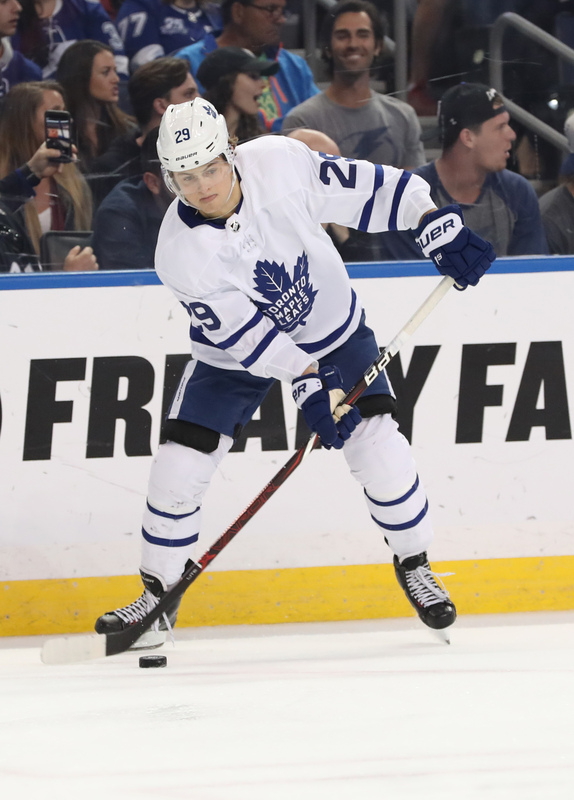 Matthews will have to be activated from injured reserve, but the Maple Leafs were already operating with a 22-man roster and have room to fit him in. 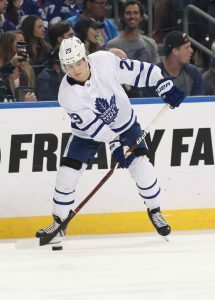 Matthews, 21, was off to an incredible start to the season with 10 goals in his first 11 games before being injured by a hard check from Winnipeg Jets defenseman Jacob Trouba. Suffering a shoulder injury on the play, he’s been out since October 27th leaving the Maple Leafs’ offensive attack in the hands of John Tavares and Mitch Marner. That pair has done just fine alongside contributions from others like Kasperi Kapanen and Nazem Kadri, leading the Maple Leafs to a 9-5 record without Matthews in the lineup. Still, getting back a player of Matthews’ caliber can only help Toronto as they try to catch the suddenly exceptional Buffalo Sabres. The Sabres are on a 10-game win streak and have taken over first place in the entire NHL. The Maple Leafs are just two points behind them, but it’s clear that the Atlantic Division is setting up to be a meat grinder for the entire season and could force a legitimate Stanley Cup contender into a wild card position. Getting Matthews back and healthy will go a long way to helping Toronto secure one of those top three spots.